It’s fair to say that the majority of job interviews start with this prompt. If you haven’t been asked this question yet, there’s a good chance you will be at some point in the future. With the proper preparation, you can answer this question in a way that gets your interview started on a high note. Here’s how you can approach this and get your interview rolling. When a hiring manager asks this question, they are essentially trying to learn what series of events have led to this interview. Rather than ramble on about your qualifications – which the interviewer already knows from your resume – it’s best to provide some background about your employment history and what you’re looking for in a new position. This is a good way to transition your past into the present and demonstrate to the interviewer why you’ve chosen to pursue a new opportunity. In your answer, it’s beneficial to reference some of the work you did in past roles that has prepared you for the job. For example, you may describe skills you acquired in past positions, such as customer service or training, and explain how you’ll apply these skills to your new job. Using the question as an opportunity to discuss the expertise you bring to the table is one of the most effective approaches you can take in getting your interview on the right track. As you provide your brief narrative, it’s helpful to show a little bit of your personal side when discussing your employment background. For example, you may share where you’re from and whether you’ve recently moved to the area. Or, you may reference where you went to college or high school. Personalizing your answer can help to break the ice and give the employer a better picture of you as a candidate – and as a person! Win the First Question of Your Next Interview in Texas! By preparing for the “tell me about yourself” question, you’ll set the tone for a successful interview and sell yourself as a candidate right from the start. The key is to prepare ahead so you’re not caught off guard! Having trouble finding new jobs in Texas? 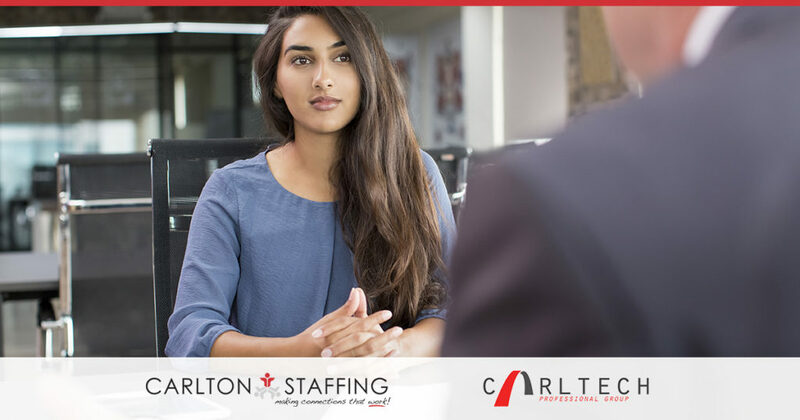 Headquartered in Houston, TX, Carlton Staffing has remained committed to providing innovative staffing solutions and job search advice in Houston, Dallas and Fort Worth for over 35 years. Contact us today to find your next opportunity.